In 17th-century Iceland, the healer Jónas Pálmason reflects on his eventful life from exile on a barren island. Dream and memory mingle in a tale that resembles an epic poem, encompassing human cruelty, love of family, and the transcendent sustenance of the natural world. 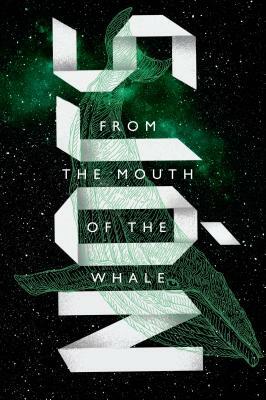 From the Mouth of the Whale is an Icelandic saga for the modern age. The year is 1635. Iceland is a world darkened by superstition, poverty, and cruelty. Men of science marvel over a unicorn's horn, poor folk worship the Virgin in secret, and both books and men are burned. Sjón introduces us to Jónas Pálmason, a poet and self-taught healer, banished to a barren island for heretical conduct, as he recalls his gift for curing "female maladies," his exorcism of a walking corpse on the remote Snjáfjöll coast, the frenzied massacre of innocent Basque whalers at the hands of local villagers, and the deaths of three of his children. Pálmason's story echoes across centuries and cultures, an epic tale that makes us see the world anew. Born in Reykjavik in 1962, Sjón is a celebrated Icelandic author whose novels have been published in over thirty five languages. He won the Nordic Council's Literary Prize for his novel The Blue Fox (the Nordic countries' equivalent of the Man Booker Prize) and the novel From The Mouth Of The Whale was shortlisted for both the International IMPAC Dublin Literary Award and the Independent Foreign Fiction Prize. The novel Moonstone – The Boy Who Never Was received every literary prize in Iceland, including the coveted Icelandic Literary Prize. CoDex 1962, a novel in three books written over 25 years, was published in Iceland in 2016 to great acclaim. As a poet, librettist, and lyricist, Sjón has published more than a half dozen poetry collections, written four opera libretti, and lyrics for various artists. In 2001 he was nominated for an Oscar for his lyrics in the film Dancer In The Dark. Sjón is the president of PEN International's Icelandic Centre and lives in Reykjavik with his wife and two children.